Spread the squash onto a baking tray and scatter over the onion, sage and garlic. Drizzle with olive oil, season and roast for 20 minutes. Meanwhile, boil the potatoes in salted water for 8 minutes until soft, then drain and set aside. 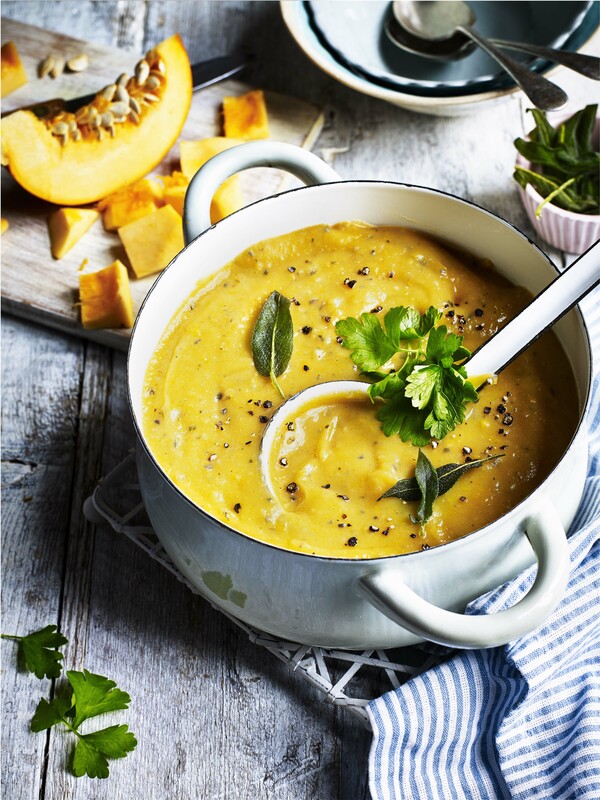 Blend the squash mix and potatoes together with some vegetable stock and bring to just below the boil. Simmer for a few minutes and serve with parsley scattered over and some crusty bread.